Body Sugaring is the all natural way of removing hair. It is all natural because the paste is made out of sugar, water, and lemon juice. Body Sugaring was developed during Ancient Egyptian times because culturally, hair on the body was looked at negatively. The Egyptians developed a paste to remove hair and enhance the outward appearance to be hair free and thus, to them, beautiful. Body Sugaring was a practical way of removing hair in the Middle East for centuries. Usually at the time of marriage, all of a woman’s hair was removed, except for the hair on her head. Her presentation to her husband was marked by clear, smooth, beautiful skin. Body sugaring was developed and introduced to Western culture about 20 years ago. I have been practicing Body Sugaring in Western New York for 18 years. The benefits compared to other forms of hair removal are softer, smoother, skin and less coarse hair when it grows back. This results in less maintenance. Body sugaring is done with a pliable paste. 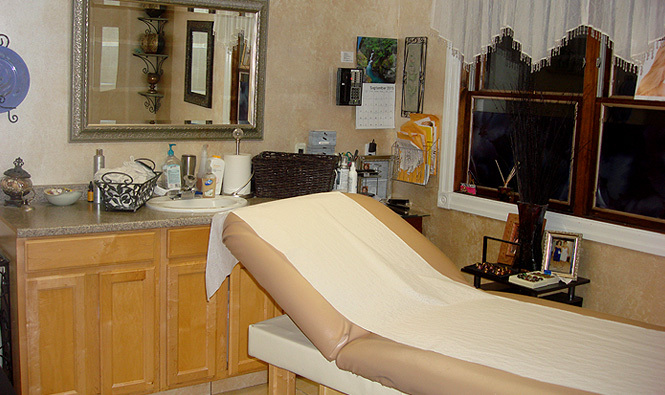 This is different from waxing, which hardens and then abrasively is pulled from the skin. The pliability of the paste does not damage the skin. It removes most to all of the hair and leaves the skin healthy and smooth. Sugar is a natural healer so it adds to the radiance of your skin. My services include faces, eyebrows, forearms, underarms, stomach, bikini, legs, feet, toes and backs. My goal is to make hair removal an affordable and comfortable experience. My room is a very private part of Hair Works Salon. I offer my clients a friendly and casual atmosphere for a very personal service. MasterCard, Visa & Discover card, Cash and personal checks only.